At first glance, the universe seems hostile to order. Thermodynamics dictates that over time, order - or information - disappears. Whispers vanish in the wind just like the beauty of swirling cigarette smoke collapses into disorderly clouds. But thermodynamics also has loopholes that promote the growth of information in pockets. Although cities are all pockets where information grows, they are not all the same. For every Silicon Valley, Tokyo, and Paris, there are dozens of places with economies that accomplish little more than pulling rocks out of the ground. So, why does the US economy outstrip Brazil's, and Brazil's that of Chad? Why did the technology corridor along Boston's Route 128 languish, while Silicon Valley blossomed? In each case, the key is how people, firms, and the networks they form make use of information. Seen from Hidalgo's vantage, economies become distributed computers, made of networks of people, and the problem of economic development becomes the problem of making these computers more powerful. 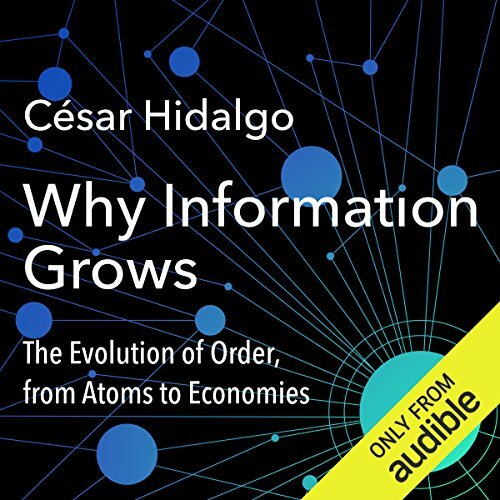 By uncovering the mechanisms that enable the growth of information in nature and society, Why Information Grows lays bare the origins of physical order and economic growth. 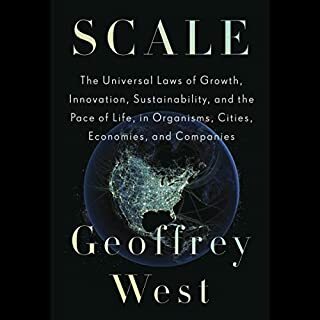 Situated at the nexus of information theory, physics, sociology, and economics, this book propounds a new theory of how economies can do not just more things, but more interesting things. ©2015 César Hidalgo (P)2016 Audible, Inc. This may be the most eloquently written science book I’ve ever read and one that manages to make extremely complicated information easier to comprehend. It is certainly comparable to Feynman’s Lectures, in terms of reducing the complex to simpler subsets for the novice, which Hidalgo manages to do without use of complex mathematics. 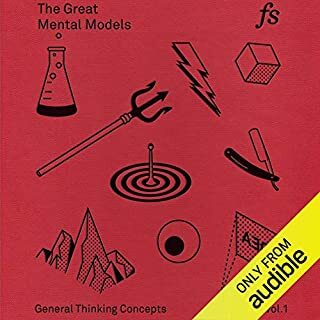 During the past year I have listened to/read dozens of science books concerning genetics, microbiology, evolutionary biology, evolutionary theory, cognitive & evolutionary neuroscience and one of the things I noticed was that all this evolution violates the 2nd Law of Thermodynamics and that certain aspects of evolution can't be explained by Darwinian theory, leading some to speculate about "design," however, I stumbled upon this book on information theory and it resolves most of the problems aforementioned without resorting to design. Also, without ever referencing McLuhan, this book elucidates many of McLuhan’s aphorisms: like The Media (transmission of content) is The Message (content has no intrinsic meaning,) and McLuhan’s assertion that technologies are evolutionary extensions (wheel extends foot, phone extends voice…) are also supported by information theory as presented here. 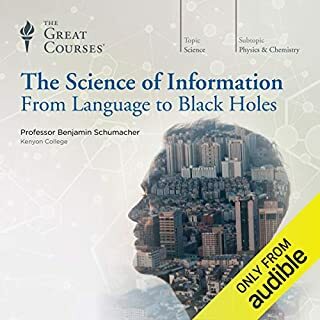 What surprised me most was the lack of any reference to Information Theory in any of the books I have read concerning the physical sciences. How can Evolutionary Theory have missed such a big data set necessary to extend its own theories? It’s a glaring omission from the works I’ve read thus far. Is astonishingly beautiful. It will be hard for anyone who reads and understand this work to look at the world the same. I have been fascinated with information theory, biology, and physics for years. The author brings them all together in an accessible way. Breathtaking work! To oversimplify a fair bit , the author explain in more detail and using a lot more physics what Hayek try to outline in his influential 1945 paper the use of knowledge in society. 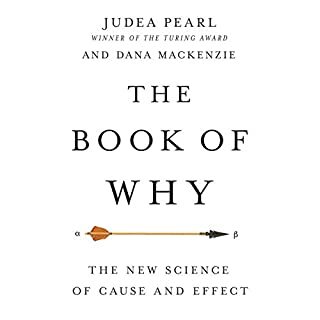 the only way I can sort of describe this book is it is a cross between Thomas Sowell's book "Knowledge and Decisions" and Matt Ridley's book "The Evolution of Everything" with a bunch of complexity theory mixed in. I highly recommend investing the time to listen to this amazing synthesis. 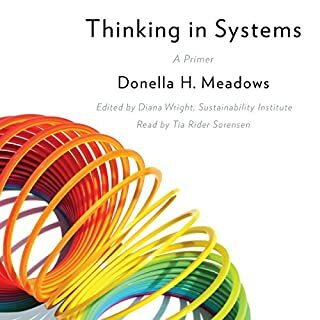 It ties together the things that matter about how systems organise in diverse realms. I would have given it five stars had it not been for the rather labyrinthine prose that made listening rather hard work. Submitted via a visit to the Hemingway app, it would have been even more compelling. Listened twice:) A great book with a wide and though provoking historical perspective that packs a punch ! The beginning is slow due to the need to define various concepts & terms. 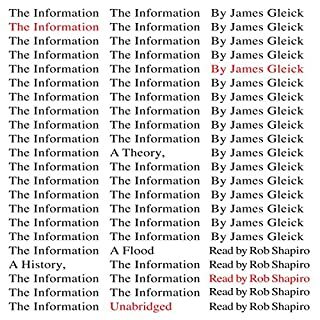 But, as this read/listen picks up, it contains insights & information that are presented in a much more dense, faster & thus more interesting pace. Towards the end (and, especially in the epilogue), it reaches its crescendo & brings the concepts together, elaborating on the promising narrative of the Audible summary. Hidalgo presents innovative ideas with just the right level of in depth justification. The story keeps moving to the end. You get the sense that the man who wrote this book had the attitude that you should never state something simply if you can polish some $20 word. I have a huge vocabulary and still had to rewind on a few occasions to figure out what the author was trying to say. Some might think this makes the book "smart" but I've generally found if you can't make a point succinctly, you haven't entirely crystallized for yourself what you're trying to say. Riveting journey with unexpected twists and turns from physics to economics, via sociology, political science and statistical analysis. A very modern and AI-age take on human-made networks, blending together various disciplines from across academia with a sprinkling of personal reflection.